STUDIO | A2 ARCHITECTURE INTERIORS is a full service architecture and interior design firm founded by award-winning principals Shawn Alshut, RA, ASID, RID and Edward Alshut, AIA, NCARB. The firms’ portfolio is built on residential, commercial, and corporate architecture and interior design that illustrates the breath of experience of it’s principals. The firm is dedicated to providing thoughtful architectural and interior solutions, characterized by refined design and attention to detail, in direct response to their clients personal or business goals. STUDIO | A2 speaks several stylistic languages. They create contemporary solutions that draw upon the best principles of traditional design. They strongly believe that good design is enduring, and that good contemporary design should reflect the influences of it’s time and place. STUDIO | A2 believes in holistic design; that the richest solutions result from a synthesis of landscape, architecture, interior design, lighting, art, engineering and construction. Whether leading your project in collaboration with consultants and contractors, or working in partnership with other architects or interior designers, STUDIO | A2 recognizes that the creative and well managed contributions of a team are crucial to a successful project. 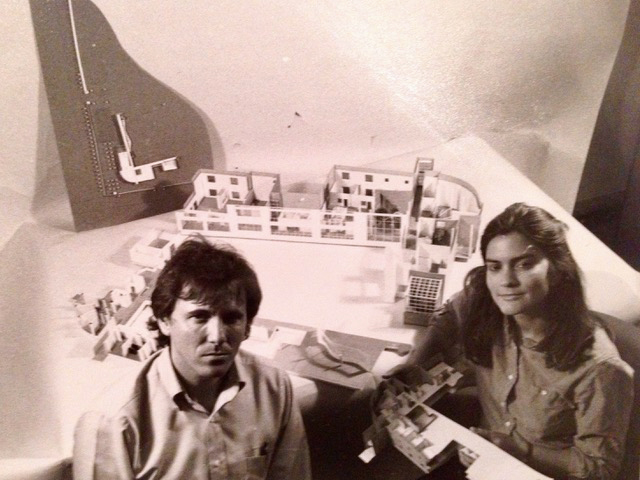 As Partners in Business and Life, Shawn and Edward’s personal and professional collaboration began as students in the Master of Architecture program at the University of Texas at Austin. Their creative energy is built on mutual love, and respect for each others’ abilities. The integration of their private and professional lives makes the work richer and more personal. Shawn and Edward’s individual experiences, and unique strengths, result in a complementary fusion of creative solutions for their discerning clients.